Why Wall Street is hungry for unprofitable unicorns | Survey: Female VCs focus on early-stage startups | UPS will use drones to transport medical specimens in N.C.
Interest in Lyft's impending initial public offering is a reminder that many Wall Street investors are more concerned with market opportunity than current profitability. Investors "are willing to deal with negative to minimal cash flows for ... a very long time," writes Kate Clark. Paying a team is more complicated than most people realize. 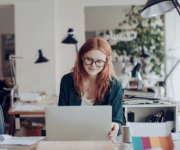 In fact 40 percent of small businesses have to pay penalties to the IRS because of mistakes they make on their taxes.This step-by-step guide will help you navigate the process with ease. This guide has helpful resources, time saving tips and the most common mistakes to avoid all in one place. Download your copy. A survey of female venture capitalists by the Global Women in VC Directory found that women invest most actively in early-stage companies. Among those responding, 66% made seed-stage investments and 71% participated in Series A rounds. UPS will use drones to transport medical specimens in N.C.
UPS is partnering with drone-logistics startup Matternet to use drones to transport medical samples between three hospitals and other facilities in North Carolina's WakeMed health system. WakeMed medical workers will load specimens such as blood samples on to drones, which will be monitored by operators as they fly predetermined routes to deliver them to WakeMed's central pathology labs. European Parliament members have approved a preliminary agreement on a copyright law that would require online platforms such as Facebook and Google to pay publishers for using content. The bill would make social media outlets responsible for ensuring content they use doesn't violate copyright laws. An ideal pitch deck should engage your audience on an emotional level while relating a story, writes Jordan Rothstein. Prioritize clarity and brevity when designing your slides, and be sure to highlight information about you and your team, Rothstein adds. Companies should consider how customers derive value from their products over time when developing their pricing models, writes Steven Forth. For example, in the case of a software-as-a-service product aimed at the enterprise market, customers often gain value quickly after an initial gestation period. Drive.ai, a self-driving car startup, is closing its service in Frisco, Texas. It has attracted relatively light ridership, and the city of Frisco decided not to renew its contract with the company. Much like a seed-stage investor must bet on a founder's vision, Wall Street, given a choice of several unprofitable businesses, has to bet on potential market value.